From provincial coats of arms to sporting mascots, the mighty majestic moose has long been one of Canada's most popular symbols. Found in forests across Canada–from the Alaskan border to Newfoundland and Labrador–this "gentle giant" is known for its easy-going nature. This, along with its determination, makes the moose the perfect representative for the spirit of Canada's wilderness and the people who inhabit the land! Males (or bulls) weigh an average of 600 kilograms, but some have also been known to weigh as much as 1,500 kilograms! Antlers are shed and re-grown each year! They can span up to 1.5 m., which adds to the moose's already imposing size. Their bone growth rate is believed to be among the fastest of any animal in the world! This coin features a micro-engraved maple leaf laser mark in the coin’s field. In the centre of the mark, visible under magnification, is the numeral “19”, denoting the coin’s year of issue as well as a unique credit-card sized packaging ideal for easy handling and storing. The assay certificate on the back of the card certifies the authenticity and purity of the coin, and it is signed by the RCM’s Chief Assayer. As an even more secure investment option, this coin is a great piece to acquire for both investors and collectors. You can store your 2019 1 oz Gold RCM Moose Coin .99999 safely and securely with Kitco Allocated Storage. 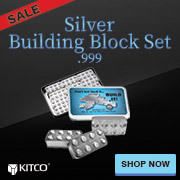 Kitco offers global options for gold bullion storage that are fully segregated, insured and allocated. Kitco's network of top-tier gold vaults include some of the most secure gold bullion storage facilities located in Canada, Hong Kong or the United States (COMEX approved). Why buy Gold RCM Moose Coins from Kitco? The 2019 1 oz Gold Moose Coin(s) you receive may not be in absolute mint condition.